Skipping Luigi U would be a big mistake. Even with all the Mario oversaturation it felt fresh and has the best 2D Mario levels since SMW I'd say. The $15 price point seemed a little high, but only a little so I still bought the game. I was a little surprised about the way the game starts with the semi-Wario Ware type mini games. And that the remix levels weren't a larger part of the game. I think it starts off with six unlocked games and you get more as you play. I think the total is twelve. I've unlocked Zelda and Wrecking Crew so far. Yeah these are revisits to well worn early NES games, but I'm still enjoying the game quite a bit. It probably helps that I don't care about leaderboards. I'm having lots of fun with this, but it definitely doesn't feel like a $15 game. Most of it is playing regular sections of old Nintendo games with a few remixes sprinkled here and there. I'll be snagging this on Friday. w00t! This looks pretty awesome. 15 bones is pretty steep, though. I'll just keep vicariously playing through Rage Kage for a while longer. This looks pretty awesome. 15 bones is pretty steep, though. Playing this, I was getting mad because there are people who spend $30-$60 on WarioWare stuff, and somehow THIS game isn't worth 15 bucks?? C'mon, thats nuts. I've had a great time with the game so far, pursuing those Rainbow Stars is CRAZY. Just when you think you've done your absolute best, and you AREN'T awarded Rainbow Stars, you gotta find a way to make it work again. You're well ahead of me! 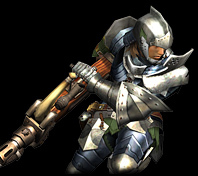 I'm still in Remix 1 stuff, with the initial volley of games. Well under 215 stars or whatever you said before, haha. I'm tearing it up on Balloon Fight though, which is the game I actually have the LEAST amount of experience with. UGH, are you as PO'd as I am on the lag with Mario Bros? Doing the speedruns this summer on my NES, I got very much used to the springiness of the controller. The Mrs_ has told me also that the 3DS doesn't have the springiness that the NES does either. Hmm. So yeah, this is my first experience with me pressing "jump" and Mario jumping that_much later. Terrible. Mario Bros. is the only game on here that the controls frustrate me on, especially with timing my jumps. I should've said SUPER Mario Bros. I did struggle with Mario Bros. (the arcade game) though, too. Whether or not $15 is too steep, I bought a bunch of eShop cards at 20% off so now everything I buy is 20% off, BWA HA HA HA HA HA. That'd make this what... $12? Not bad. Might have to check it out. I remember the guys feeling very heavy on NES. That is probably an accurate depiction, though that, too, doesn't feel as TIGHT as it used to (and it wasn't really tight). I think the difference is most noticeable on Super Mario. You're just experiencing TV input lag. My television has a game mode (not to be confused with game colour mode) that fixes it completely. Try SMB on the gamepad and see if the lag is still present. It shouldn't be. The game was developed by indies zero, the same guys who did Retro Game Challenge on the DS. 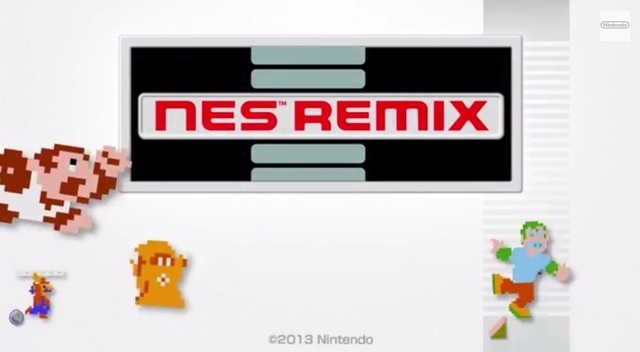 I was immediately reminded of RGC when I saw NES Remix, so it all makes sense now. My god. I LOVE retro game challenge. Most underrated game of all time. RGC is one of my favorite DS games…I just wish we got the SNES-based sequel. There's a fan translation in the works for the sequel, and there's a 3DS game in development, but we'll probably never see it in North America. @ploot it may not fix it entirely but it probably comes close. Not to open this whole can of worms, but yeah there's a few things that play into TV lag. Your TV probably has it's own input lag. Then you factor in that there could be (however minor) lag from the wireless controller. It's really noticeable on these old games, but it will happen every time you play on an HDTV. Of course, for most games it's probably not a huge deal. It just especially stands out in older, incredibly responsive ges like Mario and Mega Man.